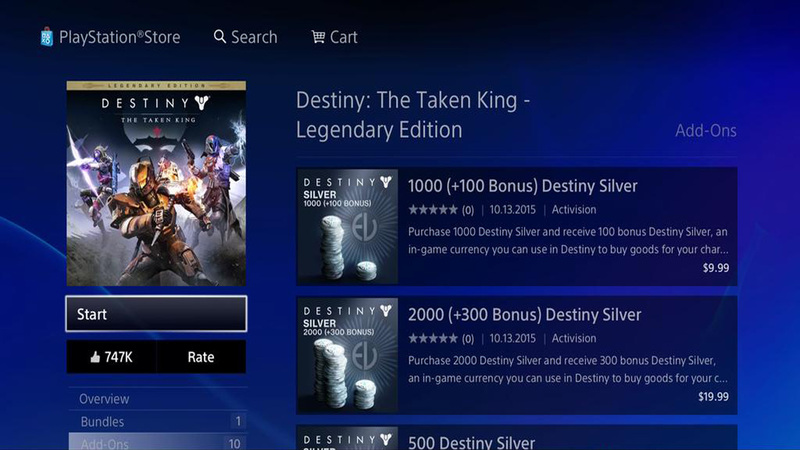 Microtransactions have been introduced in Destiny with its new 2.0.1 update. It’s been just over a year since the game was released and it looks like Bungie has decided to give its players the option to buy in game items with real money. 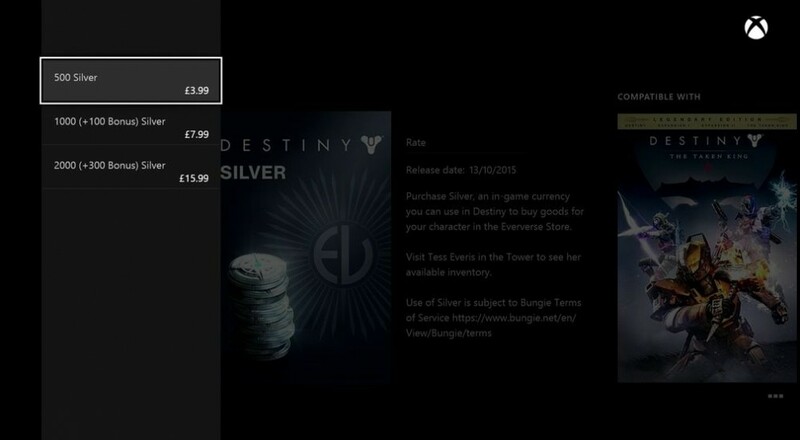 The in game items can be purchased at the Eververse Trading Company in Destiny’s Tower where the new currency is titled silver. This new shop will offer "Emotes," which is the game's form of in-game gestures. Now for most this could feel like a bit of a ripoff since Destiny cost $60 and over $100 if you purchased the DLC. The trend of microtransactions is pretty common for MMOs and a pretty familiar theme in most of Activisions (who published Destiny) games. The one upside to this new update is that the things you can purchase are cosmetic. None of the items that can be bought directly impact the gameplay. 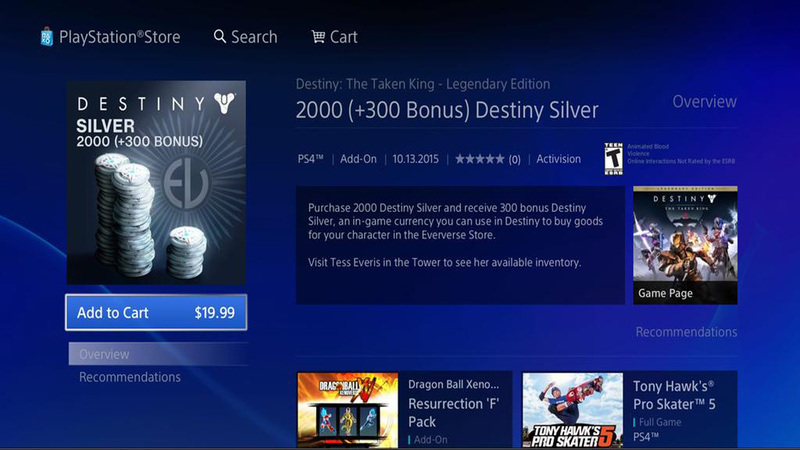 You can buy packs of Silver on the PlayStation Store in packs of 500 Silver for $5, 1000 for $10 plus a bonus of 100, and 2000 for $20 plus a bonus of 300. Rare emotes cost 200 Silver, while legendary emotes cost 500. An upside perk that the update does bring is that you will get 400 silver for free which is actually enough to buy 2 emotes if you choose wisely. Also included in the big update are a bunch of fixes and other changes to the games overall gameplay. The size of the update is between 250MB and 500MB. What do you think of the new Destiny update and the introduction of microtransactions? The complete Destiny 2.0.1 patch notes are below. Affected Bounties: "Challenge the Court: Reciprocal Rune", "Challenge the Court: Stolen Rune," "Challenge the Court: Antiquated Rune"
Page created in 0.3316 seconds.